If you're looking for seat belt webbing restoration, what you're really looking for is seat belt webbing replacement. It's never a good idea to try to restore existing seat belt webbing. When it comes to the safety of drivers and passengers, you cannot take short cuts when it comes to your webbing. Seat belt webbing has to be prepared to take on thousands of pounds of force in the unfortunate event of an accident, and if the webbing is whole, then it will have no problem doing that. To know whether or not you need to look into seat belt webbing restoration, you simply have to inspect the webbing itself. If there are any signs of degradation then it is time to get the webbing replaced. This could be simple fraying or even small rips and tears. The seat belt webbing restoration process is pretty simple. 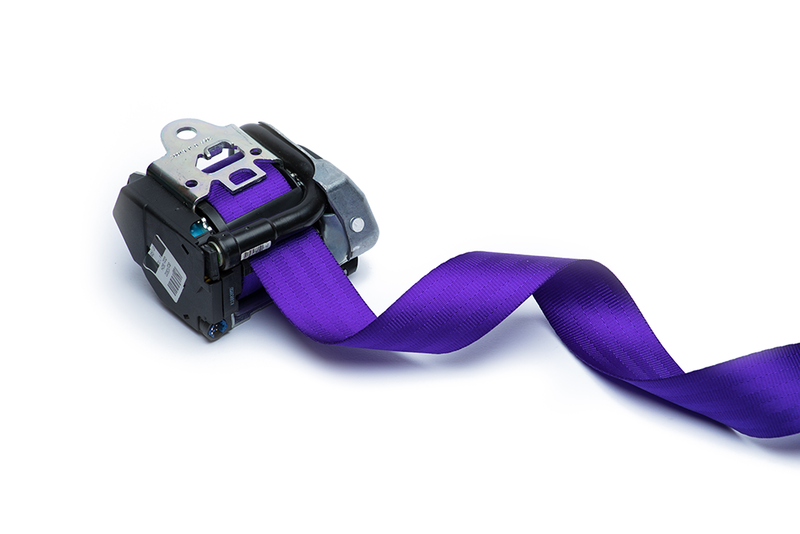 First you have to take off your seat belt, send it to us, and within 24 hours of receiving it, our qualified technicians will have the webbing fully replaced to match your exact color, or to the custom color of your choice. As an added thank you, we will clean out your seat belt assembly mechanism so that when you receive the restored seat belt, it will be link new. There's no better feeling than driving and having the peace of mind that comes from knowing that your seat belt is in perfect working condition. During the process of replacing your webbing, our technicians use the exact same factory stitching pattern and we even restitch your original manufacturers tags onto it. To get started, simply choose the service, select your color and we'll take it from there. It's as simple as that! Start your seat belt webbing restoration service now!